Award-winning developer, ID_Land has this week acquired two significant new sites in Gisborne and Armstrong Creek worth a total end value of over $400million, taking the developer’s combined portfolio under management to over $2billion. The first acquisition represents a 75 hectare site at 39 Willowbank Road, Gisborne, which was acquired for $61m. 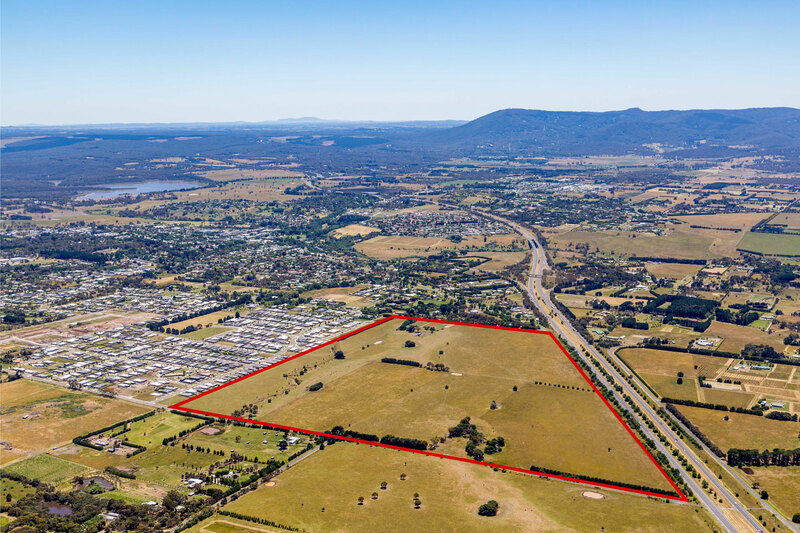 The site is one of the only parcels already zoned general residential in the fast-growing Macedon Ranges region, and will accommodate over 600 lots along with a primary school, extensive parks and reserves, and is expected to yield roughly $250m on completion. Savills Australia’s Julian Heatherich brokered the deal on behalf of a private local farmer, whose family has been in possession of the land since the early 1900s. ID_Land Director Jeff Garvey said Gisborne appealed to the developer due to its proximity to the CBD at just a 45 minute drive away, and the relative affordability compared to Melbourne’s traditional growth catchments. “ ID_Land has always been invested in delivering quality land developments so even as our portfolio grows and diversifies we believe Melbourne’s land market remains robust and underpinned by strong population and economic fundamentals. “ Gisborne represents an opportunity for us to expand our portfolio into a new growth corridor and capitalise on the number of home-hunters who are now seeking regional areas to grow their family that still offer a relatively convenient connection to the CBD,” he said. The developer’s second acquisition, located in Barwon Heads Road, Geelong, represents a 16-hectare parcel purchased off-market for $8m, in a deal brokered by Ken Drysdale of Elders Geelong. The site is adjacent to the developer’s Watermark community and will allow ID_Land to combine its local landholdings to encompass a total of 40-hectares, yielding over 600 homes worth a combined $150m, with the new project to be known as Glenlee. The land forms part of the Armstrong Creek Horseshoe Bend Precinct Structure Plan which encompasses a total area of 640 hectares and will offer four new schools, three neighbourhood and local activity centres and 82-hectares of public open space. The acquisitions underpin the developer’s continued diversification strategy which has seen the company grow its portfolio to more than $2billion across all residential sectors in Melbourne and targeted regional locations, including a partnership with prominent home builder, Sean Lefoe, to found its built-form arm, Shape Homes, in 2017. ID_Land Director Matt Belford said the developer was primed to capitalise on the strength of Melbourne’s property market with significant interests spanning land, medium density, high density development and built-form construction. “ Victoria’s property market remains strong and we believe that despite the many recent regulatory changes, the outlook remains positive in the short to medium term. “ Our population growth and net migration continues to place pressure on housing so we believe there will continue to be demand for well-priced, quality product in areas that are close to the CBD or surround existing transport and activity nodes in the establishing growth corridors,” he said.